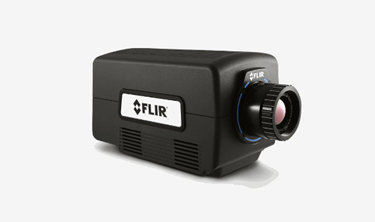 The FLIR A8200sc and FLIR A8300sc cameras stream data over Gigabit Ethernet and CoaXPress to a PC for live image viewing and recording. Full user control over integration times, synchronization inputs, and window sizes is available. The snapshot mode allows for capture of every pixel from a scene simultaneously. Visit the FLIR A8200sc and FLIR A8300sc pages for more features and information. Click here for a side-by-side comparison.